chiaroscuro Form: This allegorical portrait incorporates a low key or earth toned palette combined with a very close point of view. 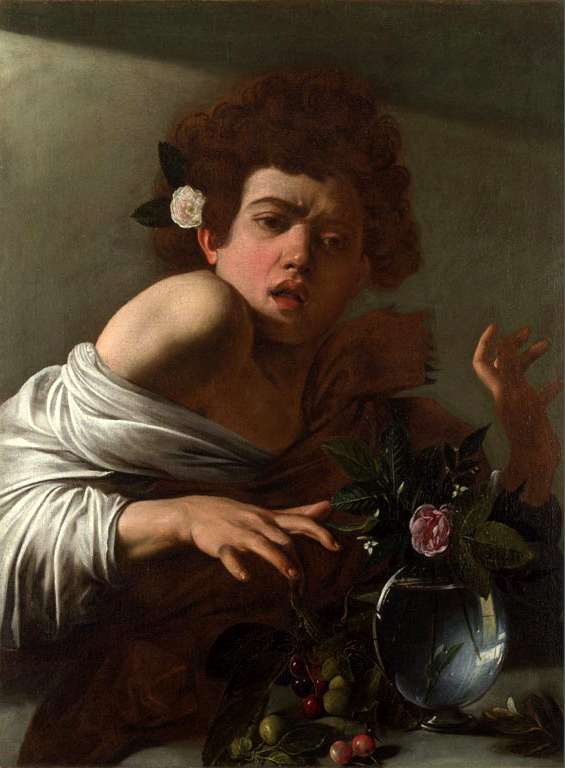 Caravaggio demonstrates a good mastery of the human face as well as chiaroscuro . 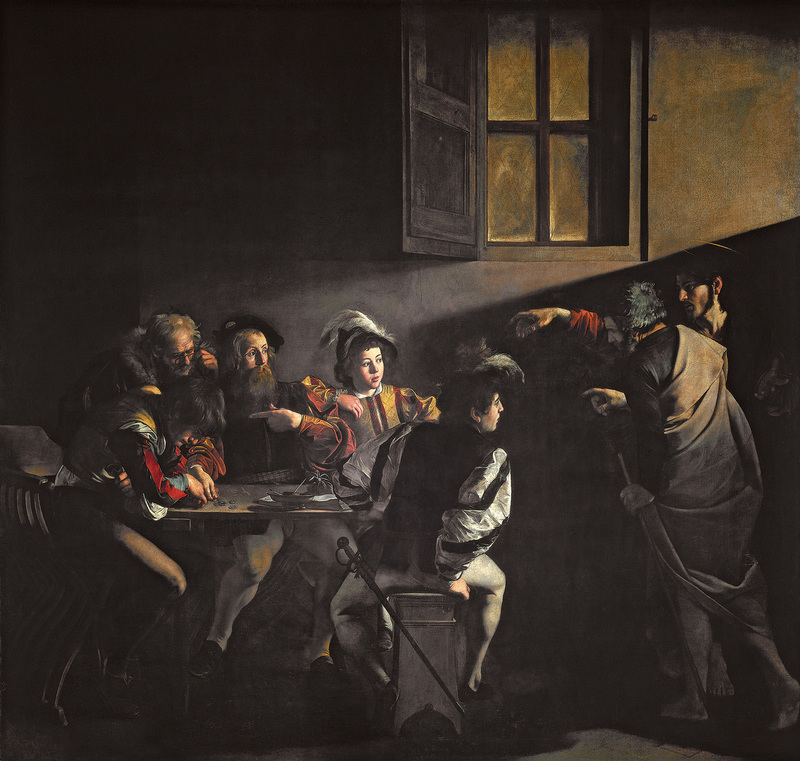 According to the Brittanica, chiaroscuro (from Italian chiaro, "light"; scuro, "dark"), which is technique employed in the visual arts to represent light and shadow as they define three-dimensional objects.Caravaggio also uses an intense spotlight on his face while the rest of the picture plane is murky surrounding him. This is called tenebrism and it is a way of creating a focus on a particular element in a work and also gives the work a sense of heightened drama. Italian Baroque Form: This is a still life painting which is painted from an extraordinary point of view. The basket and its contents are depicted from eye level. 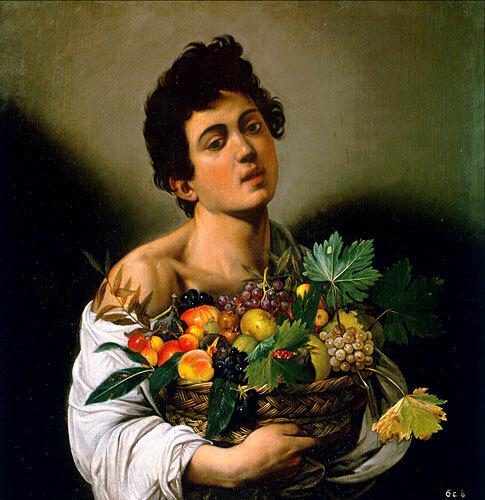 The virtuosity of how realistically the surfaces and details of the basket, its contents, the moisture on the fruit and even the hints of decay are expressions of Caravaggio's skills. It's interesting to note that this is often referred to as the completely dedicated still life painting of its kind since Pompeii (79 CE).Iconography: Paintings like this one depicting fruit is symbolic of the pleasures of every day life and perhaps of the delicacies one might desire. Fruit was not available all year and it is one of the fleeting pleasures. 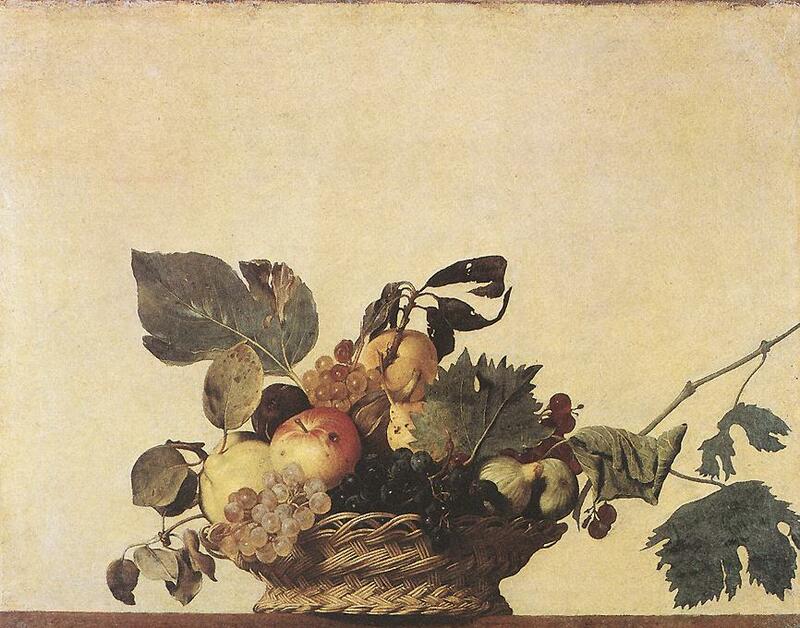 The depictions of fruit and other delicacies, such as Herakleitos' Unswept Floor (fig 6-58) are references to the wealth of the patron and the skill of the artist. 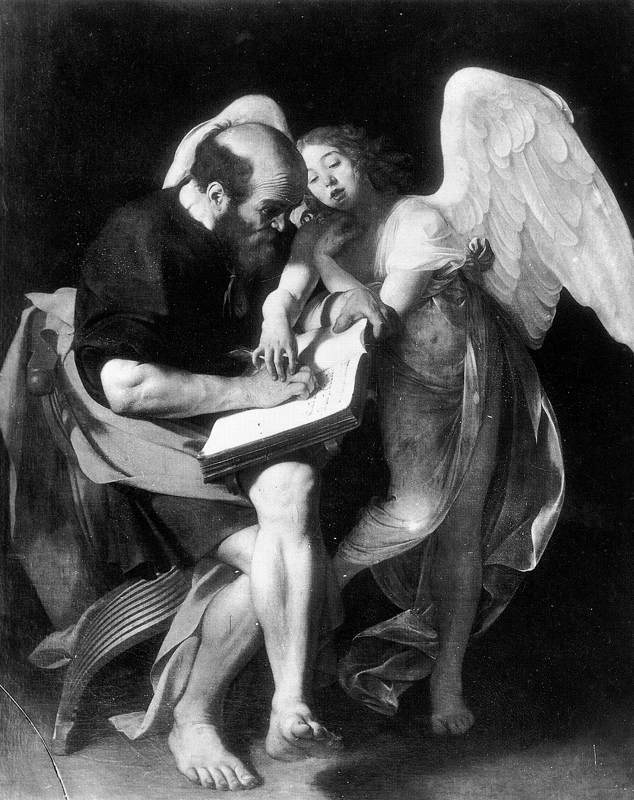 Italian Baroque Form: Although only a black and white reproduction survives the image entitled St. Matthew and the Angel, we know that originally would have looked very similar in color and value structure to the Inspiration of St. Matthew.Some major differences do exist however. 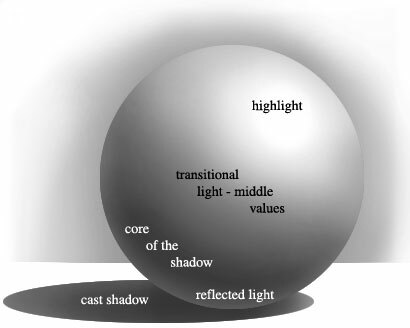 The point of view is quite different in both as is the costuming and the interaction of the two figures. 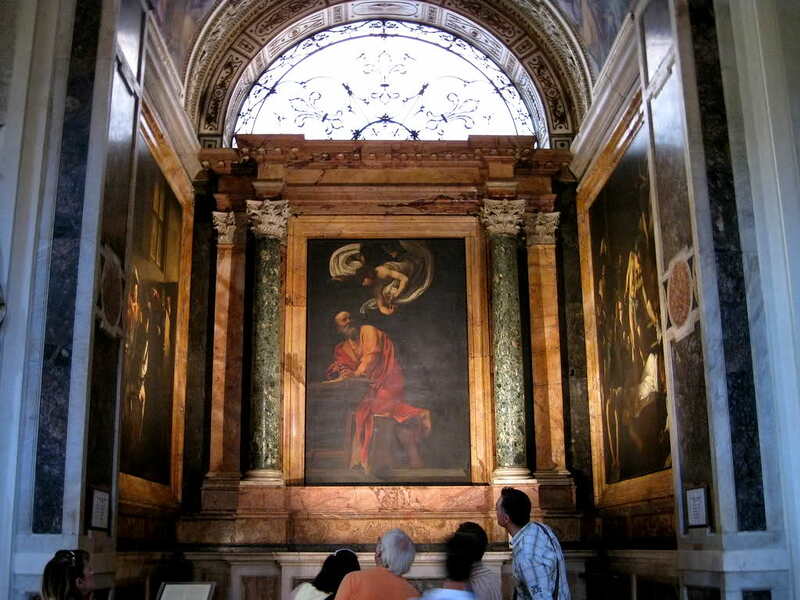 In the image on the left, Matthew is bare legged, entwined with the angel in a transparent gauze like gown and his facial expression is rather dumb. 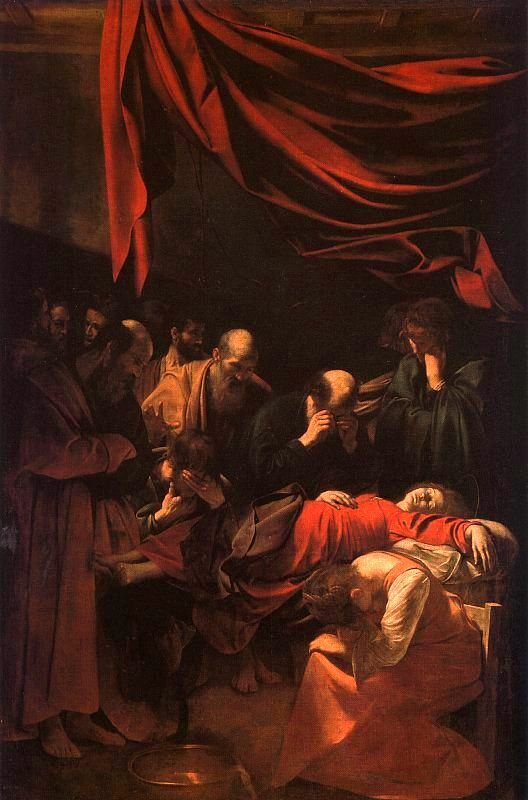 Although the viewer is placed in a vantage point from above, the viewer is still confronted with the bare feet of the saint as they project out into the foreground. The image on the right is just the opposite in almost every way. 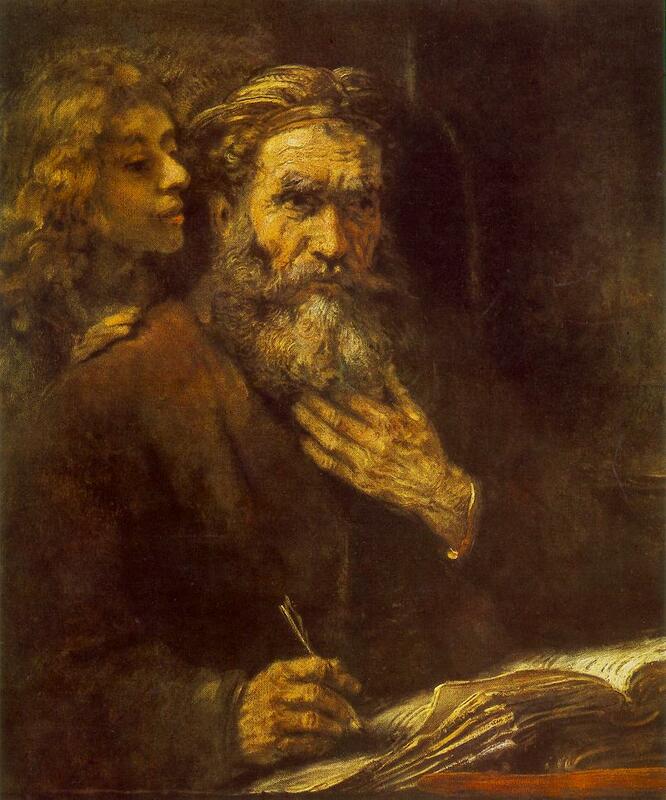 Dutch Baroque Form: As in the last comparison only a black and white reproduction survives the image entitled St. Matthew and the Angel, we know that originally would have looked very similar in color and value structure to the the painting by Rembrandt.Rembrandt painted his image more than 50 years after Caravaggio painted his but Rembrandt's portrait of the saint follows many of the same schema as Caravaggio. 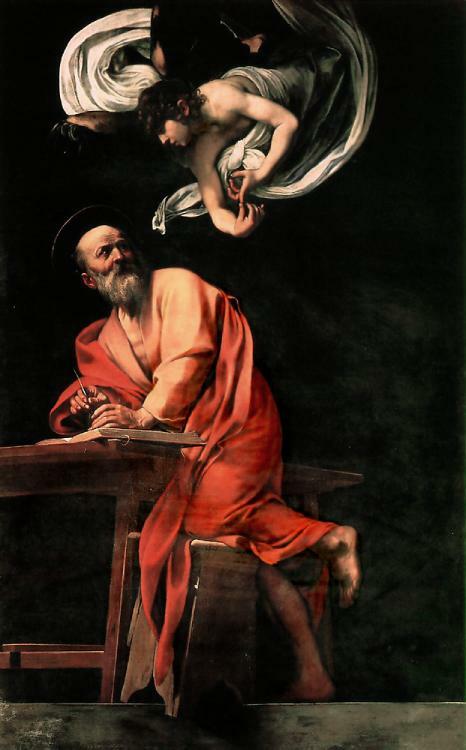 Both use tenebrism as a way of creating a focus on St. Matthew and to heighten the drama. 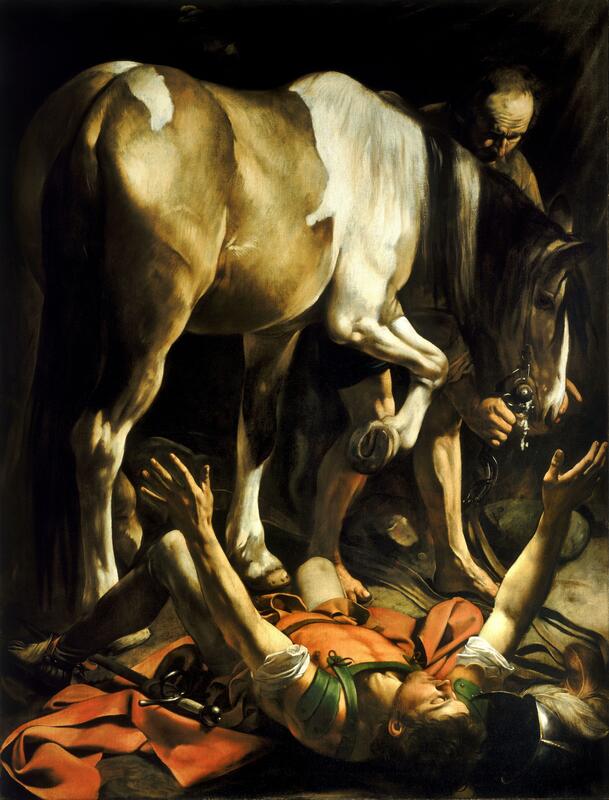 In this way and for this reason, Rembrandt, and other artists who copy Caravaggio's style are often referred to as caravaggisti which literally means a follower of Caravaggio.